Lan Tuazon, Rendering of "Monument to Museum Preservation and Collection", 2011. Visiting Artist and Cooper alumna Lan Tuazon will be featured in the Raw/Cooked exhibition series at the Brooklyn Museum of Art, November 4, 2011 - January 15, 2012. Lan Tuazon’s practice addresses the order and placement of objects within architectural environments. 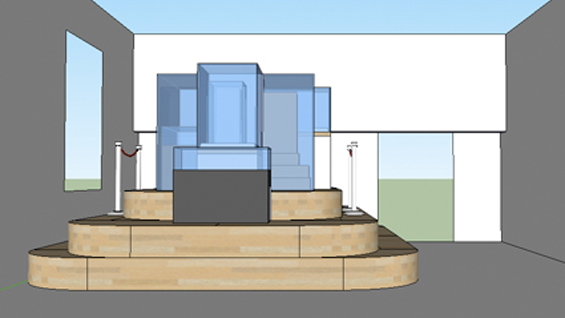 In Raw/Cooked, she will create a site-specific monument composed of empty display cases. The exhibition will also include ink drawings that represent a reordering of objects from the Museum’s collection and a group of six miniature sculptures that will be installed in the Brooklyn Museum’s galleries of ancient Egyptian art. These original sculptures are present-day reinterpretations of Egyptian artifacts, and each will be placed in the same case as its related ancient object. Tuazon graduated from the School of Art in 1999.
Cooper alumna Eva Hesse is the focus of an exhibition in the Brooklyn Museum of Art's Elizabeth A. Sackler Center for Feminist Art, through January 8, 2012. 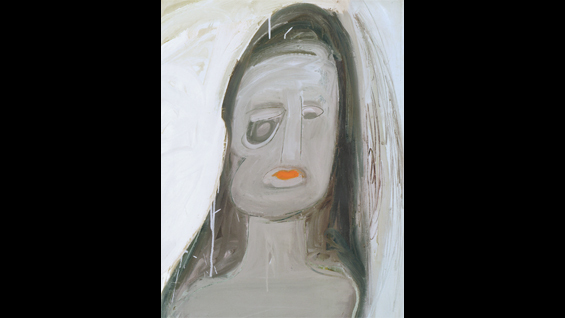 Eva Hesse Spectres 1960 focuses on what curator E. Luanne McKinnon calls Hesse's "spectre" paintings. The term refers to an "image or apparition," which describes both the temperament of these works as well as Hesse's examination of herself at this critical point in her maturation as an artist. The exhibition considers these evocative works not merely as self-portraits but as explorations of states of consciousness. Working against critical commentary that has dismissed the paintings as abject exercises in self-deprecation, this exhibition examines them as a testimony to the artist’s private struggles and professional aspirations. Hesse studied at The Cooper Union from 1954 to 1957.